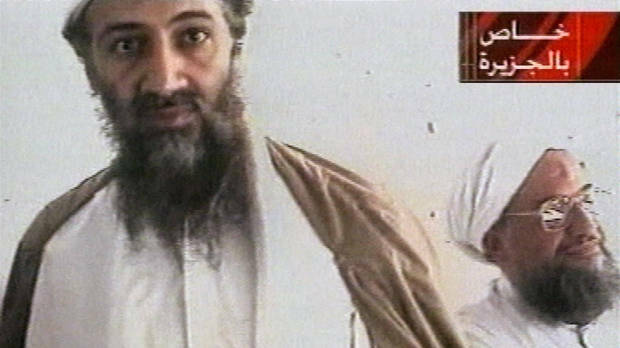 Amid an uneasy anniversary of the killing of al-Qaeda leader Osama bin Laden in a daring U.S. special forces raid, there’s a temptation to consider the war won. More than a decade later, wars in Afghanistan and Iraq, $1.2-trillion in spent bullion, 6,000-plus lost American lives – and perhaps 50 times that many other lives – the “war on terror” is, at least, a defunct term, banned by President Barack Obama’s administration as it shifted rhetorical focus in the struggle against violent, extremist Islam. But the broader conflict remains unresolved and may have become far more complicated. No significant terrorist strike has hit an American target since 2001. The Madrid and London bombings of 2004 and 2005 were the last major attacks on Western cities. Al-Qaeda has been battered and decapitated. Yet the threat still looms. “It’s wishful thinking to say al-Qaeda is on the brink of defeat,” warns Rand analyst Seth Jones. Yet even in the Muslim world, support for al-Qaeda is way down. Only in Egypt does its approval rating top 20 per cent, according to a recent Pew Research poll. In Pakistan, where bin Laden was killed in a violation of Pakistani sovereignty and anti-U.S. fervor runs high, barely 13 per cent hold a positive view of al-Qaeda, and in much of the Arab world support is mired in single digits. The violent fringes of radical Islam seem to have lost traction among even disenfranchised and repressed Muslims. At the same time, political Islam is emerging as a key force in the change sweeping aside repressive regimes in the Middle East. As the terror threat and fear of another spectacular attack like the catastrophic destruction of New York’s twin towers diminishes, the nature of the struggle against radical, repressive Islam remains unfinished and the West’s role is increasingly unclear. The U.S.-led war in Afghanistan is winding down. The coalition of Western nations that sent combat troops – including Canada – is falling apart as nations head for the exits. The dream of transforming Afghanistan from a haven for terrorists run by Taliban brutes into a modern democracy where girls go to school in an oasis of central Asian stability has been eclipsed by harsher realities. The war’s aims have been reduced to propping up the Karzai regime, talking to the Taliban and hoping Afghanistan doesn’t slide back into a narco-state run by warlords or return to a Taliban fiefdom. Neighbouring Pakistan, once the supposedly key ally in former president George W. Bush “war on terror” may pose an even greater threat than Afghanistan should it collapse. Meanwhile, as popular uprisings topple repressive regime across the Arab world, the inherent contradictions in Western policy are being exposed. Backing dictators and monarchs as long as they repressed radical Islamists, kept cold peace with Israel and the oil flowing, was the pragmatic, successful, strategic policy for decades. In its place is a rapidly evolving effort to stay on the right side of history. So Washington jettisoned longtime loyal ally, Egyptian dictator Hosni Mubarak and then sent warplanes to back the Libyan rebels who ousted and killed Col. Moammar Gadhafi. Still backing pro-democracy forces isn’t a one-size-fits-all shift in policy. Mr. Obama’s support for the Saudi royal family remains unflinching while the unfolding violence in Syria seems to have hamstrung the West. Al-Qaeda’s new leader, Ayman al-Zawahri, continues to issue calls to arms, urging jihadists to seize the moment. That rallying cry seems, so far, to have had little resonance among the tens of millions of Muslims seeking – and in some nations tasting – freedom across the Arab world. But there has been a spate of suicide bombings – hallmarks of extremist jihadists – in Syria. If moderate, democratic, freely-elected governments – likely including Islamists – fail to deliver in Egypt and elsewhere, the unfulfilled expectations of tens of millions may provide new recruiting grounds for the extremists. Abdel Hameed Shehadeh, according to the FBI, traveled the world in search of jihad. But Pakistan turned him away, and Jordan did too. He tried to get into Somalia, but U.S. authorities placed him on the no-fly list. An American citizen, he visited an army recruiting station in New York’s Times Square hoping to be sent to Iraq; they did not want him either. So, the FBI said, the 21-year-old born and raised in New York created websites and posted threats of radical Islamic violence, including one from another American expatriate, Anwar al Awlaki. Then Shehadeh flew to Hawaii and allegedly started taking target practice. FBI agents said he wanted to join a jihadist group to learn “guerilla warfare and bomb-making.” Had he been welcomed into the U.S. army, they said, his plan was to defect in Iraq and turn against his comrades. Shehadeh’s journeys ended last Friday. He was arrested in Honolulu and accused in a federal criminal complaint, unsealed Monday, of making false statements in an international terrorism case. For two and a half years federal officials followed his travels, tracked his websites and enlisted help from his grade school friends. On Tuesday they singled him out as someone much like Awlaki — eager to forfeit his U.S. citizenship for a life of jihad. He is slightly built, thin and clean-shaven. He does not evoke the image of an angry Islamic radical. But his arrest comes during a heightened alert over threats from homegrown terrorists. He first drew the eye of FBI agents in June 2008 for signing into the online Expedia travel agency and purchasing a one-way ticket to Pakistan. A New York detective interviewed him at the airport; Shehadeh said he was going to Pakistan to attend an Islamic school there. Customs and Border Patrol searched his checked baggage. They found a sleeping bag, toiletries, three books and two changes of clothes. When the plane landed at Islamabad, he was not allowed in. According to the FBI, he created his own websites. One highlighted the “Benefits of Jihad in Our Times.” Another ran speeches from al Awlaki. A third, titled “civiljihad,” included warnings dripping in blood. He visited the recruiting station at Times Square in October 2008, according to the complaint. The army turned him away because he failed to disclose his trip to Pakistan. Two weeks later he flew to Jordan, but the authorities would not let him in. The FBI developed two confidential informants who were boyhood classmates of Shehadeh. The agents said they learned Shehadeh wanted American Muslims to travel to Muslim countries and fight against the U.S. He allegedly told them he wanted to die a martyr, that there were “no more excuses” for avoiding jihad. He spoke of an afterlife with 72 virgins. In June 2009 he purchased a ticket to Dubai. Again FBI agents said they interviewed him; he told them his destination was Somalia. But now he was on the no-fly list; he could not even leave the U.S.
Pakistanis for Peace Editor’s Note– Deranged individuals such as Abdel Hameed Shehadeh, Faisal Shahzad, and Nidal Malik Hasan do not deserve American citizenship and all the freedoms and privileges it entails. 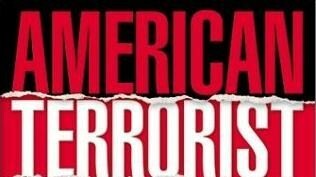 The US government must remain vigilant and suspicious of anyone who espouses treasonous acts against the republic and its interests regardless of their race, ethnicity, citizenship, religion or any other identifying characteristic. It is our hope that the Obama administration will continue to remain proactive and alert in apprehending and stopping all individuals who pose danger to the country and patriotic Muslim Americans must continue to do more to assist the nation in keeping safe.